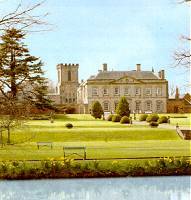 Visit this beautiful House of History, the home of Lord and Lady Ralph Kerr. Browse around the Visitors Centre, open most days throughout the year, where the Gift Shop and Estate Workshops provide a fine selection of unique gift ideas. There are special attractions on some Sundays in August weather permitting. Enjoy a photographic introduction to Melbourne Hall Gardens. Situated 7 miles south of Derby.